Breaking through Ramadan, Portion Eating. When we think of Ramadan, one can expect the glorious food bazaars, hotel and restaurant special buffet spread. The unconscious mind already succumbs to the continuous advertising by lunch and during tea is when the chemicals in your system start sending signals between your brain and your body. Food triggers the brain to turn your cravings into the act of eating or a glutton. Ramadan should be a month of moderation, and eating moderately is always healthy. We recommend portion eating, but what does it mean and how it will help you lose 1 size smaller? The first step in successful portion control is learning the correct serving size. The serving size can usually be found by reading nutritional labels. 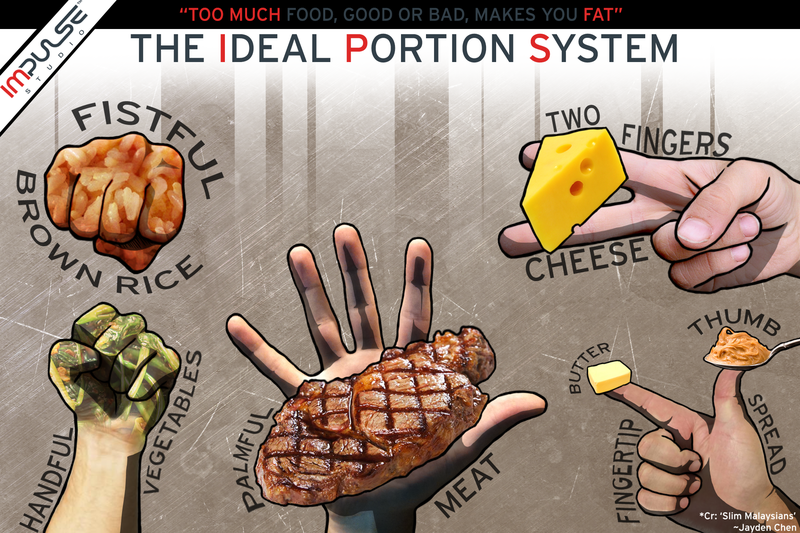 But the portion is the amount of food or drink a person chooses to consume. In many cases, the portion eaten is larger than the serving size simply because we don’t know any better. plenty of water, at least 2 litters of water after breaking of fast. If you are still hungry, try to add more on vegetables and proteins, not carbohydrates. Always have these healthy snacks which you can binge on when you’re hungry between Iftar and Suhoor.